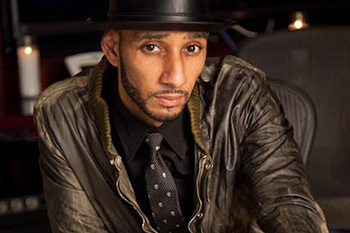 The U.S. government may pursue Swizz Beatz in an effort to get around jurisdictional issues in the Megaupload case. In the wake of the January takedown of Megaupload came the rather surprising revelation that its CEO of record was none other than Grammy-winning musician and producer Swizz Beatz. Beatz was one of several high-profile artists who publicly endorsed Megaupload in 2011, yet in spite of his connections to the company, he hasn't actually been involved in the action against it - until now. The U.S. government's case against Megaupload and founder Kit Dotcom has stumbled badly in recent months, in part because of reasonably solid claims that the U.S. has no jurisdiction over foreign corporations. Because it has no jurisdiction, Megaupload lawyers argued that it could not, and did not, properly serve the summons against the company, and the whole case thus falls apart. "In the absence of effective service of process, criminal proceedings against Megaupload cannot commence," attorneys wrote in a May filing. But the U.S. government's most recent filing attempts to counter that claim and Megaupload's motion to dismiss the case by arguing that Beatz is a U.S. citizen, and that the company can be properly and effectively served through him. "After Defendant Dotcom became Defendant Megaupload's Chief Innovation Officer, the company appears to have employed at least two Chief Executive Officers in the United States: first David Robb and then Kasseem David Dean (also known as Swizz Beatz)," the latest filing in United States v. Kit Dotcom, et al., reads. "These individuals represented the company before the Office of the United States Trade Representative ('USTR') in relation to Megaupload.com's inclusion on the Notorious Markets review, and, more recently, Mr. Dean through counsel has refused to cooperate with the government's investigation. Delivering a summons to Mr. Dean, a resident of the United States, in his capacity as apparent Chief Executive Officer should also constitute proper service of process upon an officer of the company." It looks like a bit of an end-run and I have no idea how likely it is to hold water, but it does make Dotcom's position seem a little more precarious. One of the biggest questions is whether or not Beatz is still an officer of the company; his role as CEO received attention primarily because nobody knew about it until Megaupload was busted, but he's gone unmentioned ever since, as the attention has turned entirely to Dotcom. If he is, the U.S. government's hand may have just been strengthened considerably.